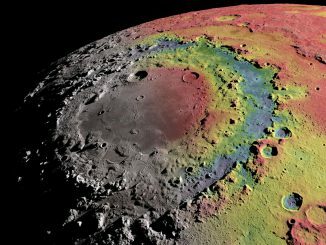 “What this research uncovered is that the Earth has fewer older craters on stable terrains not because of erosion, but because the impact rate was lower prior to 290 million years ago,” said William Bottke, an asteroid expert at the Southwest Research Institute who coauthored a paper outlining the research in the journal Science. 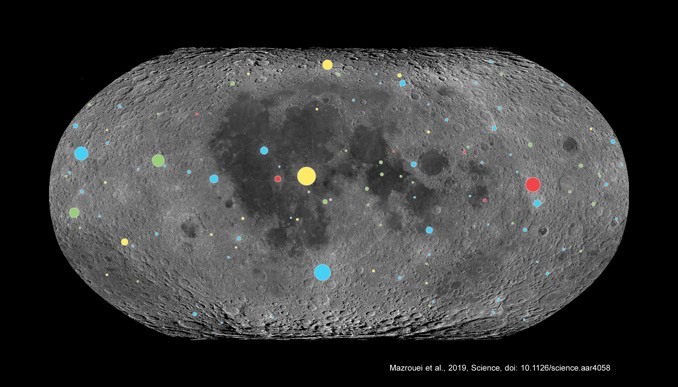 Large impact craters on the Moon that formed in the last billion years excavate large rocks and boulders that heat up during the lunar day and slowly cool during the long lunar night. 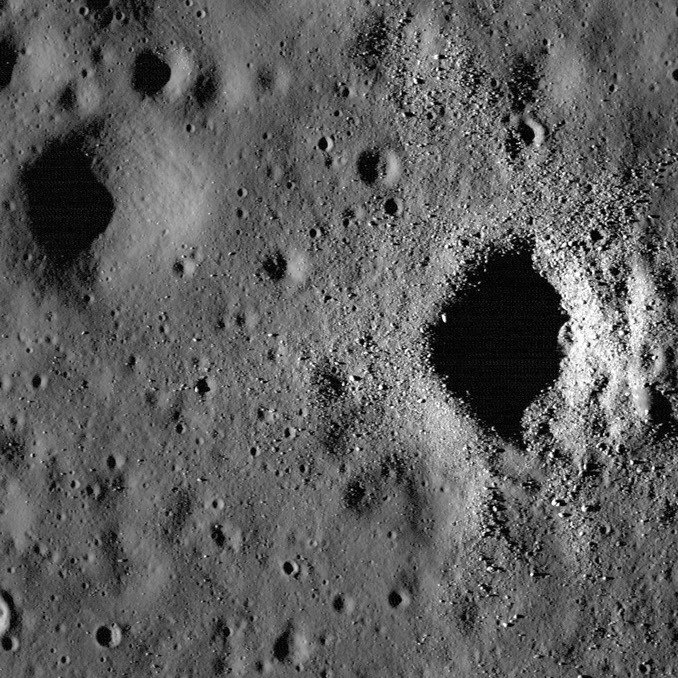 Older craters, eroded by micrometeoroid impacts over geologic time, are smoother, made up of finer-grained materials that cool more rapidly. 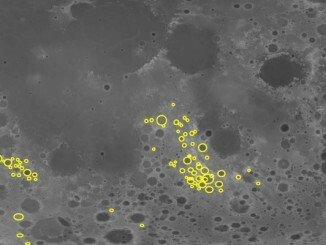 Using the Lunar Reconnaissance Orbiter’s thermal radiometer, known as Diviner, researchers were able to take the temperatures of 111 craters across the Moon’s surface that are more than 10 kilometres (six miles) across and less than a billion years old. The results matched the known ages of craters from data collected during the Apollo program. 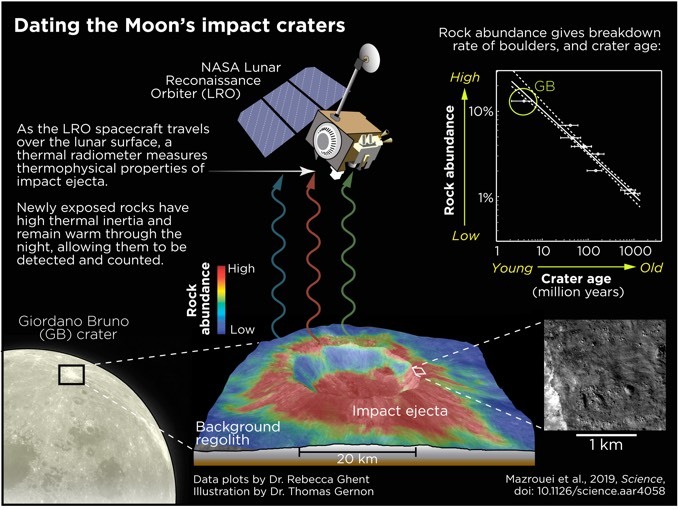 Using a new technique for determining how long it takes to reduce rocks to fine-grained soil, lead author Sara Mazrouel and co-author Rebecca Ghent of the University of Toronto found fewer older craters than expected. 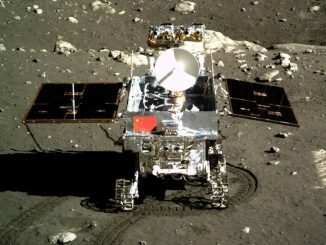 A Chinese rover sent to the Moon in 2013 has stopped operating, officials announced this week, ending a groundbreaking 31-month mission that made discoveries in lunar geology and catapulted China’s space programme to new heights.